“It is a period of civil war. Rebel spaceships, striking from a hidden base, have won their first victory against the evil Galactic Empire. 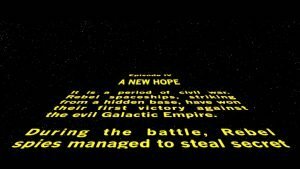 During the battle, rebel spies managed to steal secret plan’s to the Empire’s ultimate weapon, the Death Star…” These are the famous words that open the very first Star Wars (1977) movie and set the stage for one of the most epic stories ever told. For 40 years this is the only mention of these daring rebel spies. 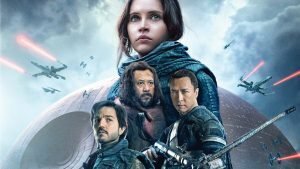 Today, their unsung story is finally told in Rogue One: A Star Wars Story. Their tale may not feel like typical Star Wars and that it is because it is unlike any other. Our heroes are not Jedi warriors or galactic royalty, they are a band of gritty misfits struggling to start a movement in a galaxy besieged by terror and violence. These characters have leadership thrust upon them under the most dire circumstances with little chance of success against their powerful opponents. They are the definition of a ‘grassroots’ movement and illustrate the power of vision, trust, and hope in their pursuit of liberation. While each character has their own motivations for joining the Rebellion, Jyn for family, Admiral Cassian for redemption, or Chirrut Imwe because of his devout belief in the positive power of the Force, they are all inspired by the same thing: a new hope (see what I did there?) for peace in their worlds. It is this guiding purpose, this ‘why’, that helps them beat insurmountable odds in order to achieve their mission. Their selfless devotion to the greater good is set in stark contrast to the actions of Imperial leaders like Grand Moff Tarkin and Director Krennic whose decisions are fueled by the desire for power and position in the Empire. In the words of French philosopher Jean de la Bruyere, “It’s motive alone which gives character to the actions of men [and women :)]”. When I think of these rebels and their quiet heroism, I think of the leaders who live among us who step up, not because of power or position, but because they know that their actions will contribute to something greater than themselves. I think of the Enron whistleblowers, of The Suffragettes, or the White Helmets of Aleppo. The leaders of Rogue One are likely to remain ‘secondary’ characters to timeless names like Luke Skywalker, Han Solo, and Princess Leia. Until this year, they were only honorary mentions in an opening crawl. While they receive little recognition for their brave efforts and ultimate sacrifices, it is these sacrifices that put the entire Star Wars world into motion. These kinds of selfless leaders remind us to reflect critically on the reasons why we want to lead. 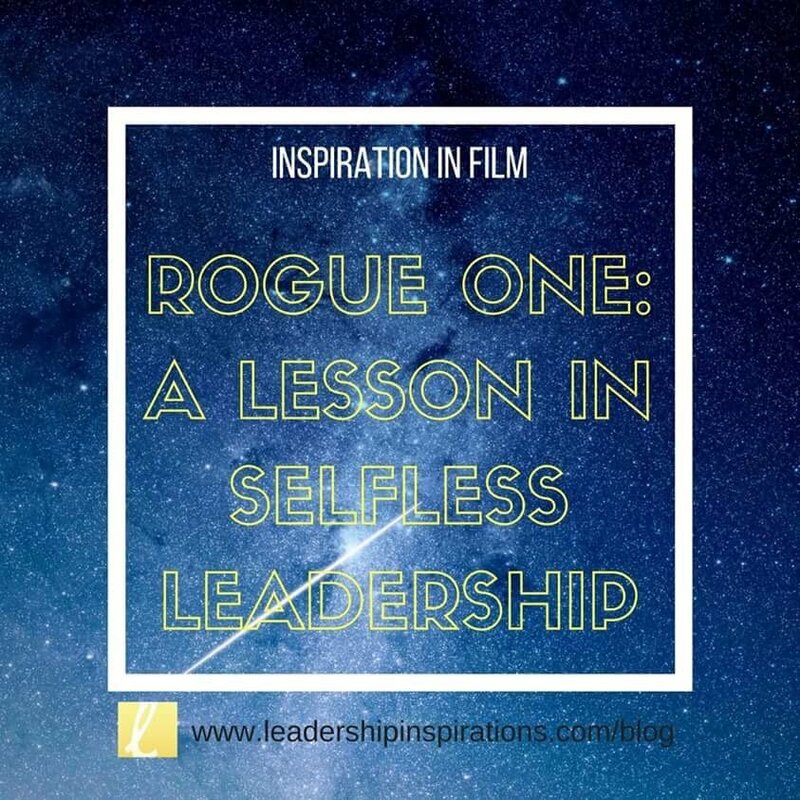 While we may never have to lead a galactic rebellion, we can remember to ask ourselves when fighting our own battles, whatever they may be: Do we lead for merit and recognition? Or do we lead for people and principle?